Cybertron is on a collision course with Earth. There's been much speculation in film circles lately regarding James Cameron's upcoming batch of Avatar sequels. Despite the massive box office success of the 2009 original, Avatar has oddly left practically no cultural footprint, and though it seems like everyone on the planet went to see Cameron's film, very few actually admit to enjoying it. Cameron should take heart from Michael Bay's Transformers series. It's difficult to find anyone who confesses a fondness for this franchise, yet they keep raking in money, and now we have a fifth installment (though the slew of Asian production company logos that appear before the movie suggest it's the East rather than the West that's keeping this series alive). If the series ever had a heart (it didn't), it was Shia Labeouf, but as he's busy pretending to be a mannequin in a store front or something, his place is once again taken by Mark Wahlberg as 'inventor' Cade Yeager. After saving Boston in Patriots Day, it's now up to Wahlberg to save the world, as the bad robots, the Decepticons, have a villainous plan to destroy Earth by essentially crashing their home planet Cybertron into our pale blue dot. When reviewing a Michael Bay movie, it can be all too easy to fall into the trap of simply regurgitating a list of everything that's wrong with his film. Once again, there's a lot wrong with this sequel, but there are some positives. When it comes to CG FX, this franchise has broken new ground with each successive installment, and I have to admit The Last Knight boasts the most convincing CG I've ever witnessed. 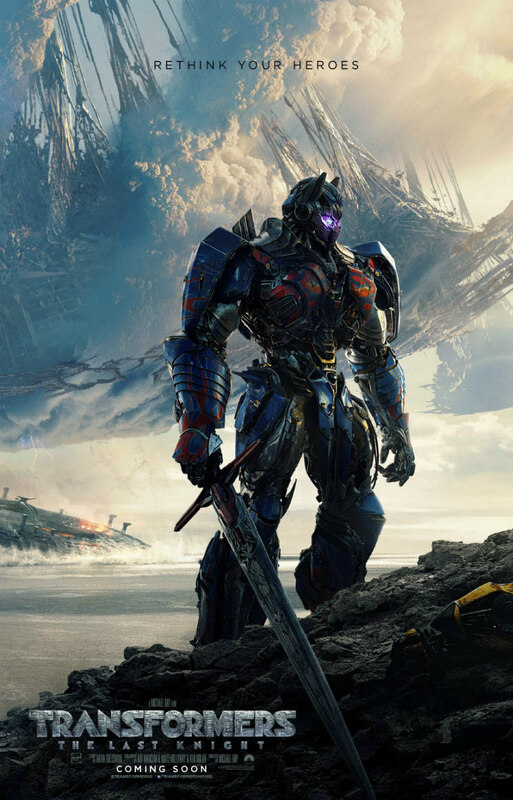 Whereas most of its rival blockbuster franchises appear to be regressing when it comes to realistic CG (Wonder Woman and The Mummy are two recent examples), Transformers is pushing the form, and the effects on show here are staggeringly good. As a stuck in my ways stop-motion devotee, I'm forced to applaud the astounding work done here. The integration of the digitally generated robots into this world is truly flawless, and we really believe they're sharing the same physical space as the flesh and blood actors. If the effects improve with each installment, the same usually can't be said for Bay's direction, but as a longtime Bay-basher I have to give credit where it's due - Bay has matured, to a degree. While he still gives us five angles when one would suffice, his staging of the film's action set-pieces is a huge leap forward, giving us wide shots that allow us a sense of perspective. Unlike most modern blockbusters, The Last Knight feels like a BIG movie, with a sense of scale that dwarves other would be epics. The film opens with a mass battle in Dark Ages England, and for its brief two minutes it's quite the spectacle, far more thrilling than anything in Guy Ritchie's King Arthur. For all that however, The Last Knight is a bad movie, but it's not a bad movie because it's a Michael Bay movie. It's a bad movie because it's working from a script so awful I wouldn't be surprised to learn it was secretly written by the 11-year-old nephew of a studio exec. As is always the case with these films - and most modern franchise films to be fair - the plot is a labyrinth of exposition, moving from location to location (don't get me started on the film's sense of UK geography; one scene sees Anthony Hopkins exit a building in Oxford onto a street in London) before we have time to get our heads around what exactly the goal of its heroes is. The dialogue is simply atrocious, and there isn't a single interaction that resembles how human beings converse with one another. The bulk of Wahlberg's dialogue consists of ethnic jibes - calling a Native-American 'Chief' and a teenage latina 'Mini J-Lo' - which isn't a good look given the actor's real-life past. Laura Haddock is brought in as his love interest, and packed into outfits so tight I worried what might happen if she exhaled, but I've seen more chemistry between a pair of single cell amoebas than the two share here, and the makeup department seems to have been instructed to make her look as much like Megan Fox as possible. This installment seems to tear up the timeline of previous movies in the series, now informing us that the titular robots have been on Earth since the days of King Arthur. Given they arrived two millenia before the invention of cars and planes, your guess is as good as mine as to what exactly they were transforming into back then. An early scene offers a glimpse into the Transformers franchise we might have gotten had Spielberg originally taken a more hands on approach instead of handing it over to Bay. It features a group of young Goonies-esque boys, eking out a survival in the post-apocalyptic ruins left in the wake of the robot invasion. Hooking up with a spunky 14-year-old girl (Isabella Moner), the stage is set for a fun, kid-oriented adventure, but they quickly disappear from the film, replaced by a bunch of grown-up dullards. Bay has hinted he may not return to this franchise, and if this is the case, maybe a reboot is in order. Surely there's a filmmaker out there who can transform this series into something worthwhile? 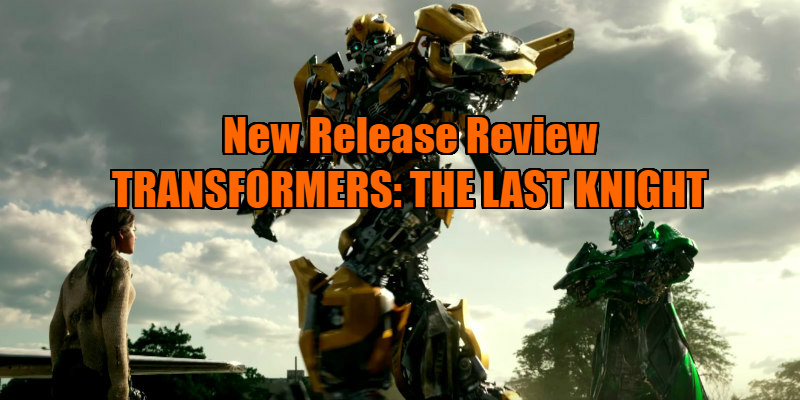 Transformers: The Last Knight is in UK/ROI cinemas June 22nd.